In anticipation of the Marni Creative Director Consuela Castiglione’s visit to Dubai on 29 November, the designer has created a limited edition dress of which only five pieces will be stocked worldwide only at the Mall of Emirates boutique. The dress is a sleeveless shift shape with a tulip formed hem which ends at the knee. 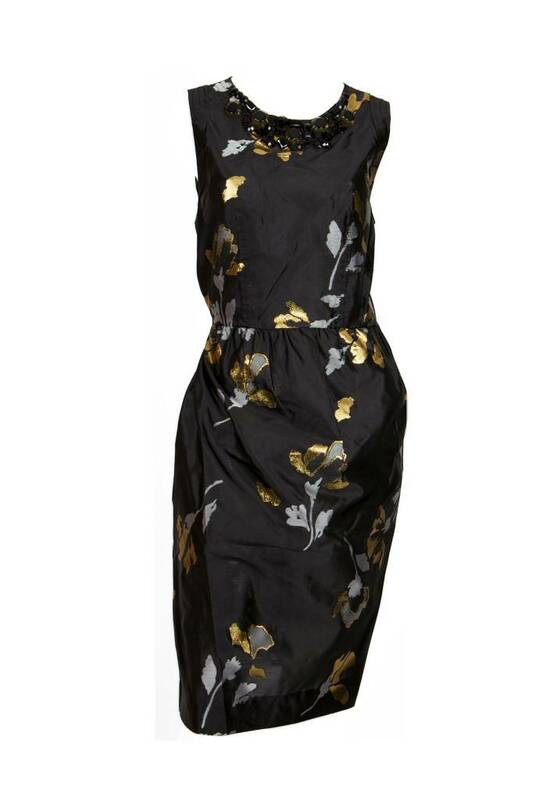 Grey and gold floral designs are scattered across the dress while a bejeweled detailing along the collar frames the piece and relays a sense of regality.